Join us this Friday for a Hack Chat on Audio Systems. It’s going down June 2 at noon PDT (handy time zone converter thing). Every Friday, we gather round the campfire with the best in the business to tease out whatever secrets are stored in their mind. 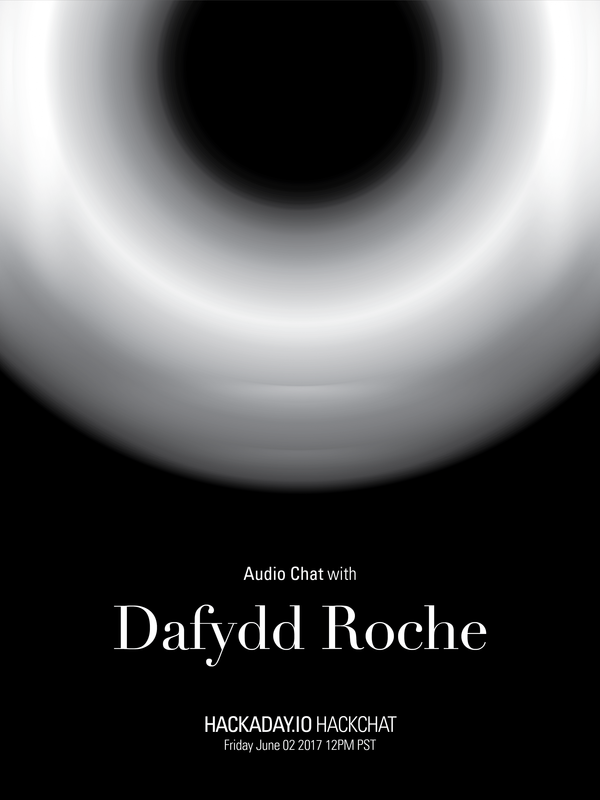 This is the Hack Chat, and this week, we’re going to be talking about audio systems with [Dafydd Roche]. Bring your low-distortion volume knobs and porcelain speaker cable risers, this is going to be a good one. [Dafydd] got his start in electronics in an application for a music degree. He mentioned he’d built a few guitar pedals, which landed him a call from the electronics department at York University. They told him he was a terrible musician, but that he might excel at electronics. Many years later he’s still going strong with audio applications with Expat Audio, manufacturers of fine preamps. [Dafydd] is also the Audio Strategic Marketing Manager at Dialog, and spends his days arguing with engineers and doing his best to solve customer problems. [Dafydd] has been on The Amp Hour, and has published articles on audio systems. For this Hack Chat, we’re going to be running the gamut of audio, electronics, and small business. The questions on audio mythbusting are sure to entertain, and we’ll also be discussing audio signal chains and small business production. Bring your questions and put them on the sheet to guide the discussion. I can’t make it to the chat, but just wanted to post that I fell onto the same course at York for similar reasons and got my BEng at the same time as [Dafydd Roche]. While I ended up going into software tech support and have forgotten a lot of the what I learned at York, it’s great to see that [Dafydd] has gone on to do proper electronics and it’s really cool to see his name on Hackaday. Thanks for organizing them anyway. Sometimes I do have a browse through the logs. They all have transcripts. here’s last weeks, and the week before. Here’s all of them in some sort of order. Many thanks to the Hackaday team for hosting today’s chat, and for the great chit-chat and banter with those of you who joined! Cheers!